Born in Durban South Africa, Adam Craemer immigrated to Western Australia with his wife in the early 2000s and emerged as an artist shortly thereafter. His main training and influences come from the graffiti art culture in Cape Town and the UK; living and traveling around Europe and Asia; as well as his parents who are both artists back in his native South Africa. Having a graffiti background has heavily influenced his use of aerosol cans in his work, and his use of them can be seen in almost every piece he creates. As a child, Adam found immense pleasure in art as well as the ocean. These recreational activities soon blossomed into passionate hobbies as he was surrounded by, and exposed to, artistic people and equipment through his parents art practice. If he wasn’t playing with oil paints in his mother’s studio, he would be using his father’s art tools to test them out. His portrait artwork is derived from a mixture of photographs / images/ paintings that are sourced online or via client pictures; then reworked onto either board or canvas. 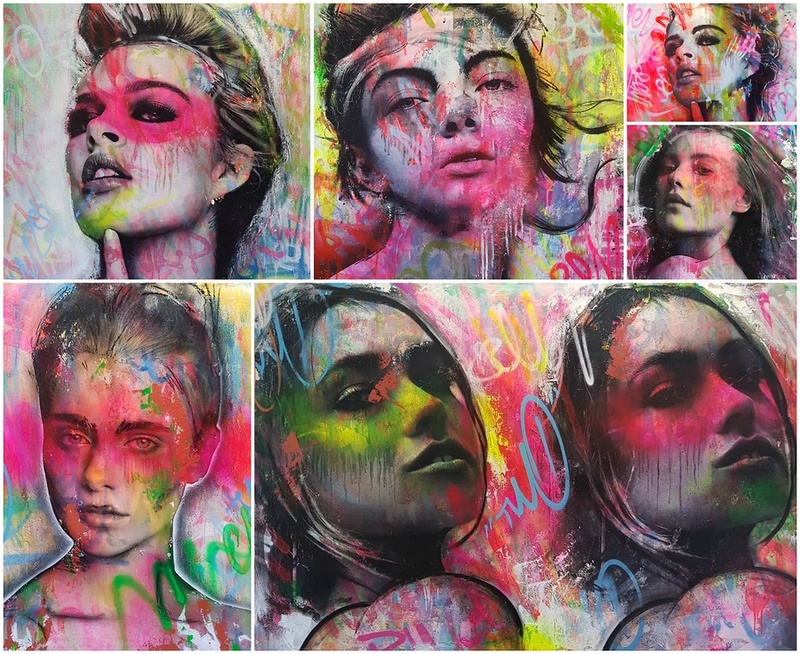 As a result, his mixed media portraits can often be a combination of all or some of these techniques: stencils, painting, spray-painting, screen printing, glue, paper shredding, ink, marker pens and epoxy resin. Every time he works on a new piece, he tries to combine newly discovered techniques to existing ones, pushing his style further. "I try and mark the pieces in such a way that allows the viewer to see new marks and complex lines every time they are viewed." His abstract pieces are based on photos from walks, of landscapes, seascapes, or whatever emotion or music he is feeling at the time of painting. For Adam, they are pure ‘letting go painting’, where he can experiment with colour, paint types and accessories. Want to learn more about Adam Craemer?